The UsuryFree Eye Opener: IQ-Konnect - Pays and Rewards All "First Inviters." IQ-Konnect - Pays and Rewards All "First Inviters." What is (IQK) IQ-Konnect ? IQ-Konnect is becoming a New Social Sharing platform. IQ-Konnect is a new social media movement that rewards/compensates worldwide participants financially (and otherwise with points) for inviting others and sharing your life experiences on the forthcoming IQK-platform. IQLife, formerly Level 9 Marketing, has blended the best features of the various, popular social media sites and a new and better social media site called IQ-Konnect is forthcoming. IQ-Konnect started its beta-testing in mid-June 2014 with a small group of approximately 50 participants. Beginning the first week of August 2014, all Brand Ambassadors who have enrolled a minimum of 6 people will be invited to join the previous 50 participants and continue the beta-testing of the IQ-Konnect platform. Later in the fall of 2014, “Free Users” will be invited to use the IQ-Konnect pletform after the beta-testing is completed. It is important to know that you must enrol with a “first inviter” - otherwise referred to as a “distributor.” So “social sharing” on the “social side” evolves into “profit sharing” on the “business side” for those active “Premium Subscribers.” Actually, correctly stated - all active "Premium Subscribers" qualify to share in revenues generated through the IQ-Konnect social sharing platform. Those who enrol for FREE will earn points BUT you will NOT qualify to earn money. The points that you earn can be redeemed for gift cards and/or products. All FREE enrollers (customers) simply use the IQ-Konnect platform in the same manner as they use any other social media sites. At any future date, any FREE enroller (customer) will have the opportunity to upgrade to a Premium Subscriber for $9.95 per month and thereby qualify to earn income along with rewarded points. Each individual who gratefully accepts an invitation, is permanently connected to you for future reward and compensation purposes. And know that you will be further compensated as they invite, konnect and share with others in the future. When someone accepts your invitation, s/he and their network will be connected with you forever! And of course, you will be compensated as they continue to invite, knooect and share with potential, thousands or even millions of people all over the world. Since IQ-Konnect is an “invitation-only” SDI (Self Directed Income) opportunity, anyone with business acumen can see the advantage of being the first one to invite your social network to participate with IQ-Konnect. Remember - whoever accepts your invitation to enrol with IQ-Konnect is permanently connected with you for all future compensation purposes. Get yourself set up now to benefit from future, long-term, passive earnings. 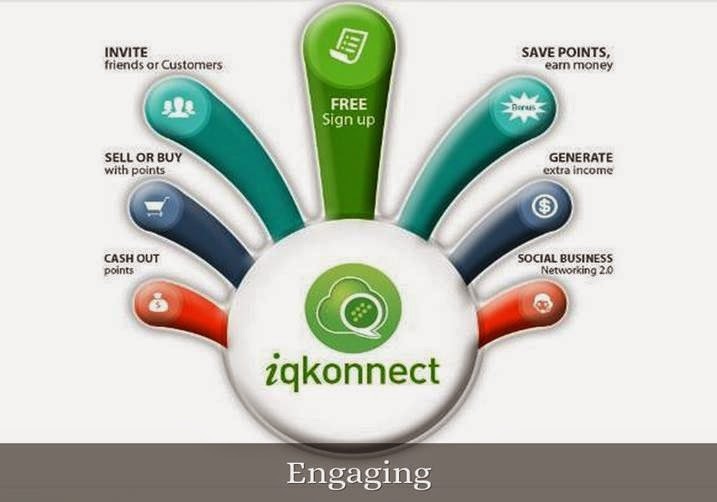 The former monopoly of “social media” is being broken and for the first time everyday people will be offered the opportunity to earn money using a social networking site - IQ-Konnect. Indeed, for the first time ever, there is an SDI (Self Directed Income) opportunity and everyday people will be able to profit from the evolving and explosive, social media industry. Have you ever researched the revenues earned in recent years by social media? Know that over 70% of the world population now uses social media. IQ-Konnect is now positioned so that all who choose to participate as Brand Partners will be able to build local and global empires that create wealth. As of mid-July 2014, approximately 20,000+ Premium Subscribers are enrolled with IQ-Konnect. Ivy Johnson is the main innovator and visionary with the IQ-Konnect team. As a true American entrepreneur, Ivy Johnson has a 5-year vision for IQ-Life, the parent company with IQ-Konnect. 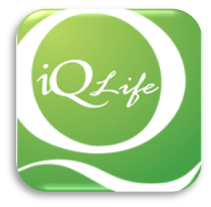 Some experts a suggesting that IQ-Life is positioned to rewrite the history of social media. Below is the script (approved by corporate) that Keith Reid uses in the daily conference calls. "Hi Everybody. Keith Reid here. Thank you for taking the time to get on this call. Today is June 10th. I do these calls every day, and I try to keep the message brief. But my goal is to give you some very important information about something that is absolutely about to take place— which will be life-changing for so many people. In the next few minutes I really hope I will be able to convey to you what is going on here—and why it is such a big deal. And to impress upon you the fact that we’re in a very short period of time right now before our platform goes live, and why you definitely want to be in front of this before that happens. Our company, iQLife, has signed an exclusive agreement with a brand new Social Sharing Platform—which is going to be released VERY, very soon. What is unique, and why this creates an amazing opportunity for all of us, is that the owners of iQLife have decided that all active first inviters are to be the sole source of introduction to this new Social Sharing platform. And these same First Inviters, which are all of us positioned at the front of this movement, will share in all revenues generated by this new social sharing site. This is huge! When this ‘living organism’ goes live, all of the growth that occurs around the world will come through all of us who are the First Inviters. No one will be able to join without an Invitation. And for those of us who understand this, take it seriously, and reach out to as many people as possible, as fast as possible, the potential is massive. The more First Inviters, the more earning potential ~ it’s that simple! See, you have the fortunate opportunity to be part of this movement from the very beginning. If you are already on other social media sites, that’s great. You don’t have to give them up, or change anything that you’re doing. But now you have the opportunity to be linked to one that is going to reward you for just what you are already doing on your other sites that you get absolutely nothing for. Most of us are familiar with what Social media is about, so we don’t have to train anyone on what to do. Once our platform is released, you will create your profile to start inviting, connecting, and sharing. That’s it. After the platform goes live, you will simply invite everyone to use it for FREE. Once someone accepts your invitation, they are forever linked to you—and everyone that they invite is linked to them, and so on. I need you to understand that all these connections will trace back to you because you were positioned as one of the FIRST INVITER. Those who join the platform through you, or though any of your lines of connections, as free users, will earn rewards just for using the platform in the same way they use other social media. They will accumulate points that they can redeem for things like gift cards and products. At any time they can purchase any service through their platform and then they too can start earning income—money—instead of just the rewarded points that they are getting. It will be a very natural thing for people to engage this way. You won’t have to go after them to do that. It’s just going to happen on its own. Do you understand why it is so important to be one of the first inviters? It is because the release of this platform will only happen once. We can never turn back time to do it again. Sure, you can wait, but there is a catch! You will have to wait until someone sends you an invite because you cannot just go to the join page and sign up without an invitation, it will not allow you. As I explained, this network system is unique in that you must join through connections. So if you are not already connected with someone and on board as one of the First Inviters and ready to invite others when this living organism goes live, then you will have to wait until someone sends you an invite. Or you can get with the person that shared this with you and got you on this call today, go to their site right now and Click on Subscribe Now. On the next page click on Premium Subscription – and join for $9.95, that’s it folks, $9.95. What it would cost you to buy 2 cups of your favorite coffee at Starbucks this month to position yourself in front of this movement before this living organism goes live. It is important to know not to click on FREE Subscription as it will not put you into the system. We are only signing up Premium Subscribers right now so that you are positioned as one of the First Inviters. After you fill out all the information you’ll receive your own website link, so that your friends and contacts can join your first inviter team from your site—and they can start building their first inviter team. The more First Inviters you have on your team before this Living Organism goes live means the greater market share and income that you will have in the future. Understand right before we go live which is very, very soon we will not be able to bring on any more First Inviters, so that day can happen any moment. It is imperative to share this information with as many people that we can right now. When that time comes that we cannot bring on anymore First Inviters, this site we have now will go away, then we will all go to the same site and log in just like we do with all of the other social media sites. When this living organism goes live, people will join—just as they have joined every social media site that has come down the pike. Just how big is social media?? Let’s take a quick look at the history of its amazing growth over the past 10 years. Facebook started in 2004, and it took them 852 days to break 10 million users. Then Twitter arrived in 2006, and it took 780 days to get to 10 million users. 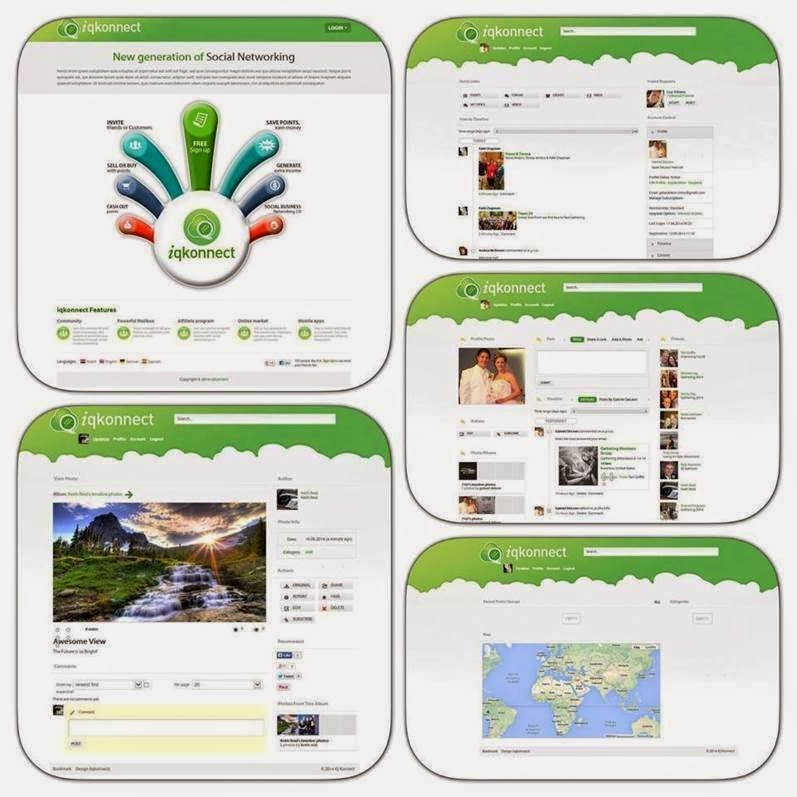 Then comes Google Plus in 2011—they did it in 16 days. And not only did it in 16 days, but they limited their invites to only 5 a day. That’s right, you could only invite 5 people a day to connect with you and guess what, not one person that made that happen received anything for it. Yes, we built it and all social media platorms and we receive nothing from any of them. Social sharing sites such as Instagram grew to 1 million in 3 months, and within 1 year they grew over 10 million. Then in April 2012, Facebook acquired them for US 1 Billion in cash and stock. Facebook agreed to buy messaging company WhatsApp for $19 billion in cash and stock. Why, because it grew to 419 million in 4 years. The transaction ranks as the largest-ever purchase of a company backed by venture capital. Then there is Snapchat, launched mid-2011. Launched out of the living room of the co-founder, Spiegel’s father’s apartment, Snapchat picked up slowly but steadily. The company recently rejected Facebook’s offer of $3 billion in cash for acquisition. Spiegel then went on to decline a $4 billion offer from the search engine giant, Google. Yes, 23 years old and turned down a 3 and 4 billion offer in cash. Think he might know social media is going to be a lot bigger in the future?? The rewards will not be in the hand of one founder, but shared among ALL of us responsible for growing this platform, for bringing in all the users. Yes, this is something you can be proud of because you are ownership here and everything you do, you will reap the benefits…. Isn’t it About TIME!!! And as we have seen, social media grows extremely fast, and extremely large. And this trend is only increasing. The numbers involved are mind-boggling. So, yes, people will JOIN our Platform! Our Social Sharing Platform will be a beautiful, fun, and first-class platform. People will be attracted to it, for sure. And then they will enjoy engaging with it, and see all the things that they will be rewarded for and they will all very naturally share it with their friends. It’s just the way it is. The connections that all of us start will quickly wrap around the world. And IQLife is ready for all the growth that will rapidly take place, and is prepared, right now, to do business around the globe. The company has already put in place iQPayment—a global payment system for both taking in payments, as well as paying out commissions around the world. GPG is the global payment provider that enables our International affiliates the ability to receive commissions several ways: Direct Payroll Deposit to your bank account in your country, Deposit to a Visa, MasterCard or American Express reloadable paycard that you already have or a card available at many stores. A little further down the line, as connections expand and wrap around the globe, there will be many more avenues opened up to continually generate revenues from this platform as it grows. More revenue means more earnings for all of us within our compensation structure. Those who really do it big will have the opportunity to expand their earnings in a Social Grid which has over 21 million positions available for you to earn from! You will start earning income right out of the gate when you start today. Yes, as we continue to move forward in time, you will earn from all positions in your social grid, whether they are a free user or they are a paying affiliate. NOW, do you understand why you want to become one of the FIRST INVITERS? Hopefully you do, and you are ready! Because you are being given a valuable opportunity to get in place now, before everything takes off. Position yourself at the beginning of this living organism, and start building your market share in front of the millions who are going to start coming.. very soon…"